Make sure to watch my full Table Top Video Review for the Gletcher APS Stechkin CO2 Blowback BB Pistol where I go into details about the features and specifications and also show you around this pistol. This video focuses only on the shooting performance of the Gletcher APS. I test the (FPS) Feet Per Second performance first using my Chronograph to see what the actual real world velocity is and then I take my Gletcher APS Blowback BB pistol out to the 30 foot range and shoot 10 rounds on a paper target from a semi rested position. 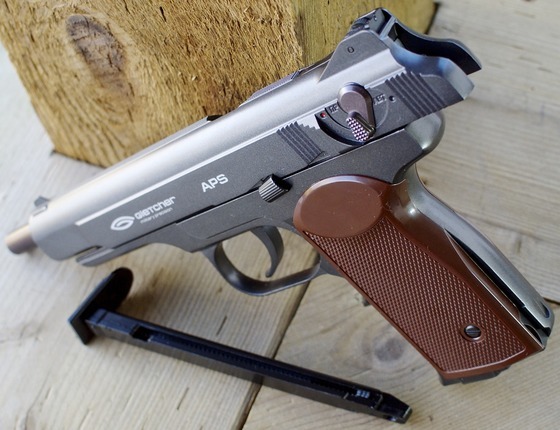 So how did the Gletcher APS Stechkin CO2 Blowback BB Pistol do? Pretty decent overall. Gletcher claims around a 400 fps max velocity and got an average 5 shot reading of 394 fps on what I would consider to be a rather cool day (under 10 degree Celsius). I was of course using a brand new CO2 to get optimal results. When I tested the accuracy for the Gletcher APS Stechkin from my standard semi rested 30 foot position, I got failry typical results for a BB pistol at right around a 2 inch grouping, more than adequate enough for shooting small to medium sized targets around the yard. 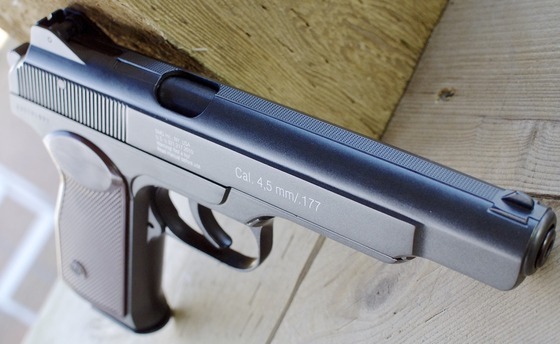 The Gletcher APS Stechkin CO2 Blowback BB Pistol is bigger than I thought it would be, you can see this in my Table Top Review where I show it side by side to my 2013 Baikal Makarov BB Pistol. 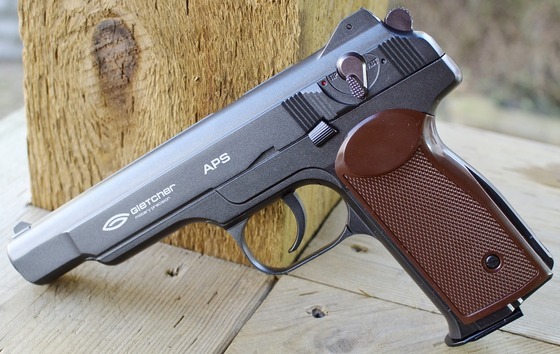 The Gletcher APS weighs in at over 2 pounds and has larger than average grips so small handed shooters may not be comfortable shooting the Gletcher APS. I found the blowback action to have a nice firm snap too it and the trigger pull was long but had a good feel and nice and easy to predict release point. Overall I found the Gletcher APS Stechkin CO2 Blowback BB Pistol to be a really fun gun to shoot, it felt good in the hand with nice blowback operation, fairly high fps for a blowback gun and decent accuracy.